14. 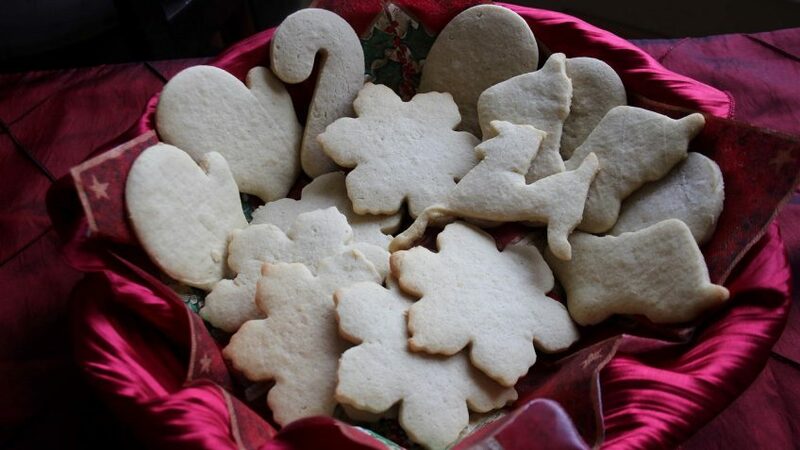 Place cookies in the middle position in the oven. Bake for 8 -10 minutes ONLY! 16. The cookies will last several days on the counter. If you plan on keeping them longer, store in an air tight container in the refrigerator. Enjoy! The next morning you will have perfect, pale cookies with just a hint of a darker edge – in other words, you have created keto sugar cookie perfection. These cookies are absolutely delicious without any icing at all. ENJOY!